Carrfour provides housing assistance to homeless individuals and families. Eligibility for our programs is coordianted through a universal waitlist managed by the Miami-Dade County Homeless Trust. If you are homeless or about to be homeless, you must call the Miami-Dade County Homeless Trust's Homeless Helpline at 1-877-994-4357. The Helpline is the "front door" to available resources in the community. Homeless individuals and families will be assessed according to their needs and vulnerabilities, and then directed to immediate services and assistance. 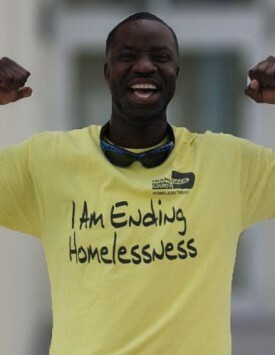 For more information, please visit www.homelesstrust.org. Individuals and families who are NOT homeless but are in need of affordable housing can click below to be placed on our waiting list for housing in one of Carrfour's non-homeless affordable residences.